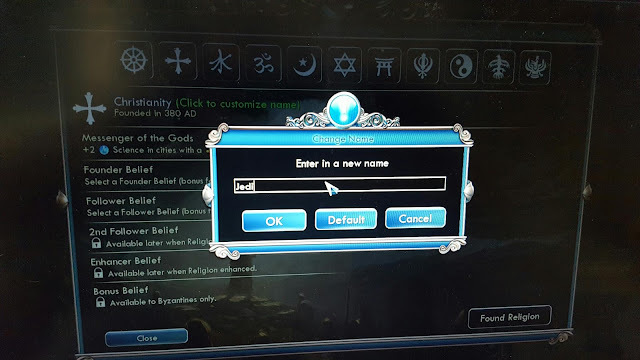 I've been playing a bit of Civilisation 5 recently and yesterday they gave me the opportunity to create my very own religion. According to the last two census (censi? Censuses?) I am a Jedi so why not stay true to my beliefs?